The New Year is always a good time for some reflection on the past year and planning for the next, so I thought it would be a good idea to do a quick re-cap of 2017 on Hoppy Boston and set up a few things for 2018. I want to start by thanking everyone who regularly reads the blog, and my followers on Twitter, Facebook and Instagram. I have met an awesome community of beer fans through the blog and social media, and the interaction with others is what keeps me excited to continue writing Hoppy Boston. The biggest change on the blog this year was definitely the new logo. I’ve been hoping to develop a professional looking logo for a while and finally took the plunge this year. I’m happy with how it came out and got great feedback. I’m planning on pasting this logo onto every piece of relevant merchandise I can think of, I already did stickers and glassware. The first batch of the stickers flew, but I got in more of the same, so anyone who is interested in a Hoppy Boston sticker (no charge) just send a email to ryan.brawn80@gmail.com with your address and “sticker” in the subject line and I will send you one. I am trying to mix up the blog and include more different types of articles, from news about local breweries to opinion pieces. I started the random beer thoughts/links articles at the end of 2016 but it became a blog staple this year. I typically post it on the last Thursday of the month, with a collection of links to the most interesting beer writing I come across that month and other news, notes and opinions. The articles have been very well received, they are always amongst my most viewed article of a given month. You can find the log of monthly links articles HERE. I don’t do a best beers of the year article because I recap the best beers I reviewed every 3 months, you can find the quarterly summaries HERE. While I am doing more diverse blog posts beer reviews are still in heavy rotation, with a goal of identifying the best beers being brewed in the region and passing along my recommendations. The most popular beer reviews of 2017 (based on number of page views) were the dual review of Hipster Apocalypse and Liquid Rapture from buzzy Maine brewery Mason’s Brewing and my review of Vermont standout Sip of Sunshine from Lawson’s Finest Liquids. No surprise that IPAs reign supreme. My most popular opinion article was a recent post questioning whether large and mid-sized breweries can have success brewing New England style IPAs. I think this question will be answered in 2018 when breweries like Sam Adams and Sierra Nevada try to mass produce and distribute this style. Looking ahead to 2018 I have some fun stuff planned for the blog. I am working with some other local beer writers on a series of collaboration articles. I have a special beer-related scientific study in progress right now that you’ll be able to read about this summer. The monthly links column will continue along with reviews of the best beers I come across and a variety of other articles relevant to the constantly changing local beer scene. My goal is to keep Hoppy Boston informative and entertaining, I hope I am doing a reasonable job. My life is going to get even more crazy in 2018, but I am hoping to do a little more traveling around New England and spend more time writing about less-heralded breweries and beer styles. 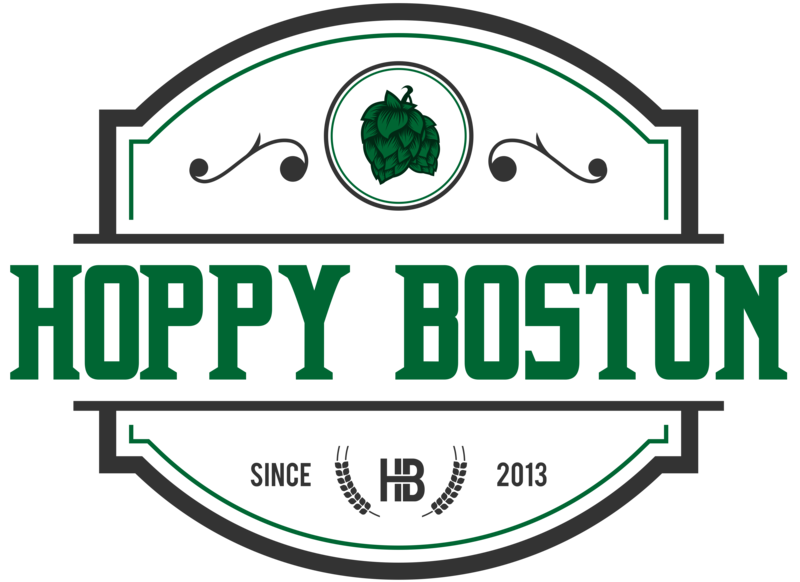 I am always open to ideas, so if there is anything else you’d like to see on Hoppy Boston leave me a message here or on social media. Thank you again for making 2017 another great year for the blog, and I look forward to more fun exploring the world of local beer in 2018!